What could be more quintessentially American than our country's great factories and places of industry? There's something nostalgic about the hulking structures that, for generations, formed the economic backbone of our nation and housed the metallic whirring of machinery, hands moving with the effortless grace of hard-earned muscle memory, the hypnotic thrumming of mass production, and the intricate and interwoven processes that come together in a synchronized dance to produce something greater than the sum of its parts. 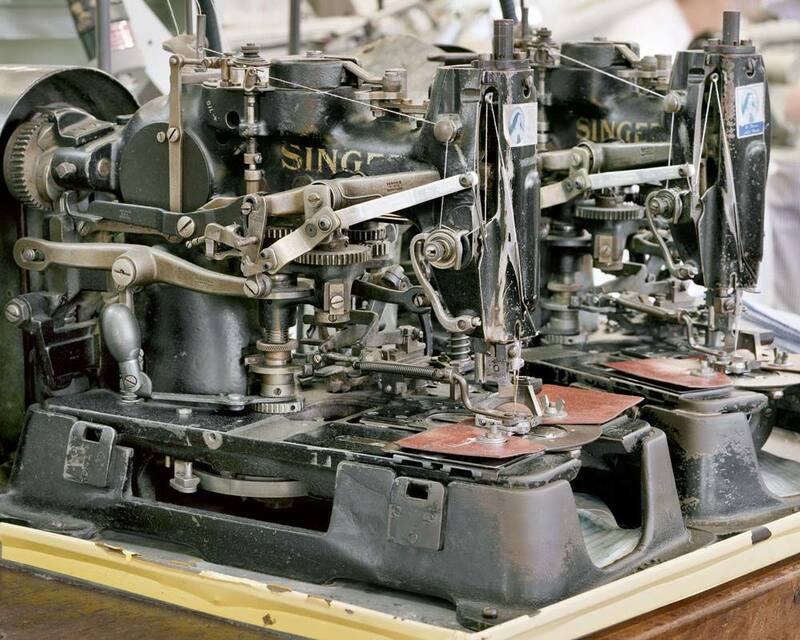 These factories, mills, and forges harken back to a bygone era where 'made in the U.S.A.' was the norm, not the exception, where people knew where, and often by whom, their goods were made, and a comfortable lifestyle could be attained by the men and women who kept them running. 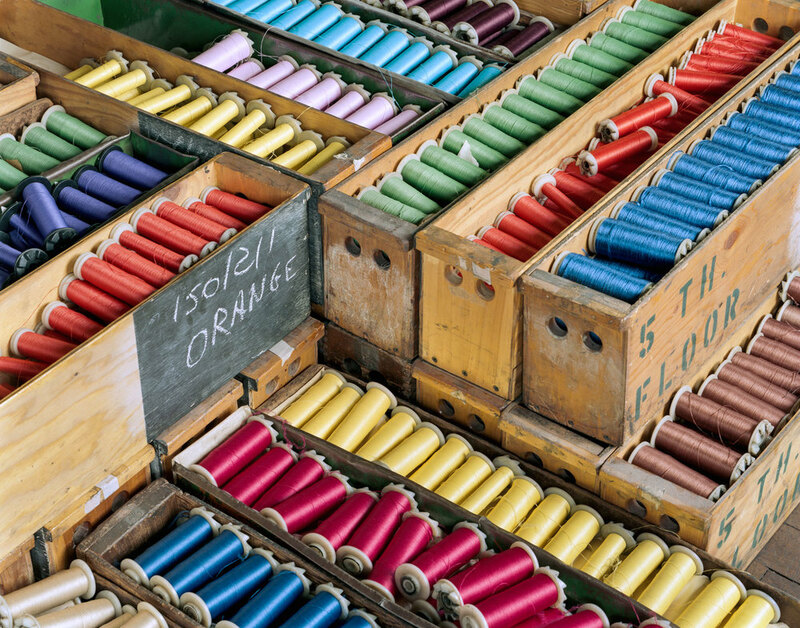 To pay homage and call attention to the factories who were once so essential to the fabric of American life, NY-based photographer Christopher Payne spent five years traveling up and down the East Coast - from the Carolinas to New England - documenting the vibrant and hypnotic world of textile mills, some dating as far back as the Civil War. While some incorporate the industry's latest technologies, others thoughtfully and purposely employ centuries-old production methods and vintage machinery. 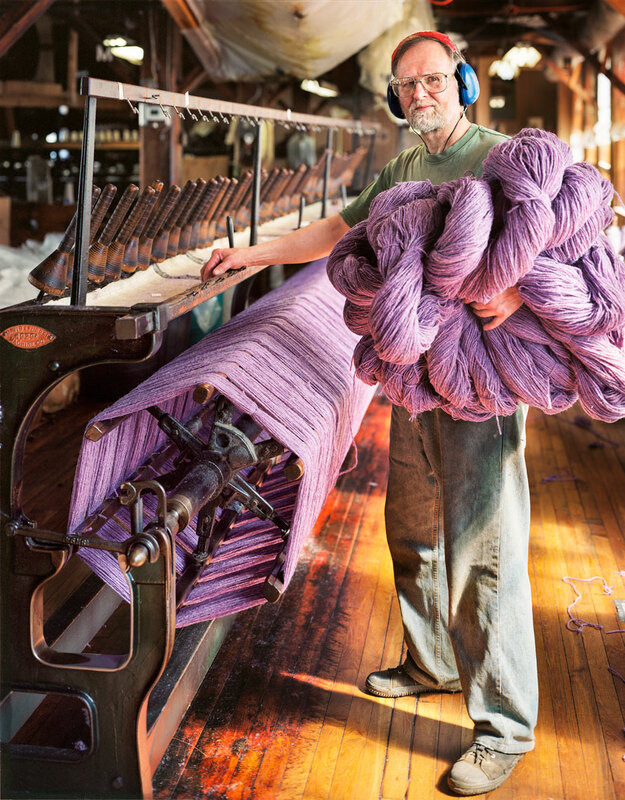 In his Textiles series, Payne meticulously captures the materials, tools, and people that produce some of the finest products bearing the American-made label. 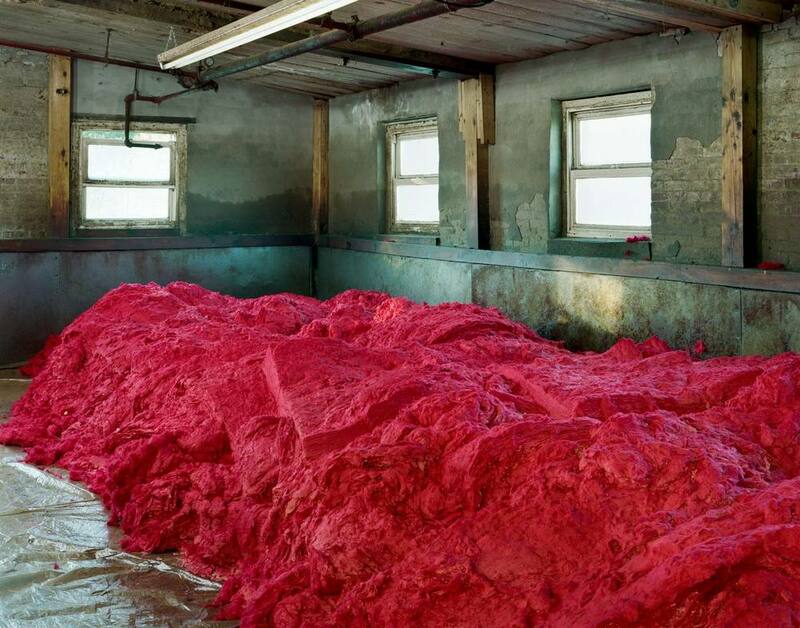 "What I find most exhilarating, beyond the obvious visceral sensations—the noise, the rumbling, the heat, the particles of wool or denim, etc. floating in the air—is the awareness that something physical is being created, something of real value," Payne said to Wired. 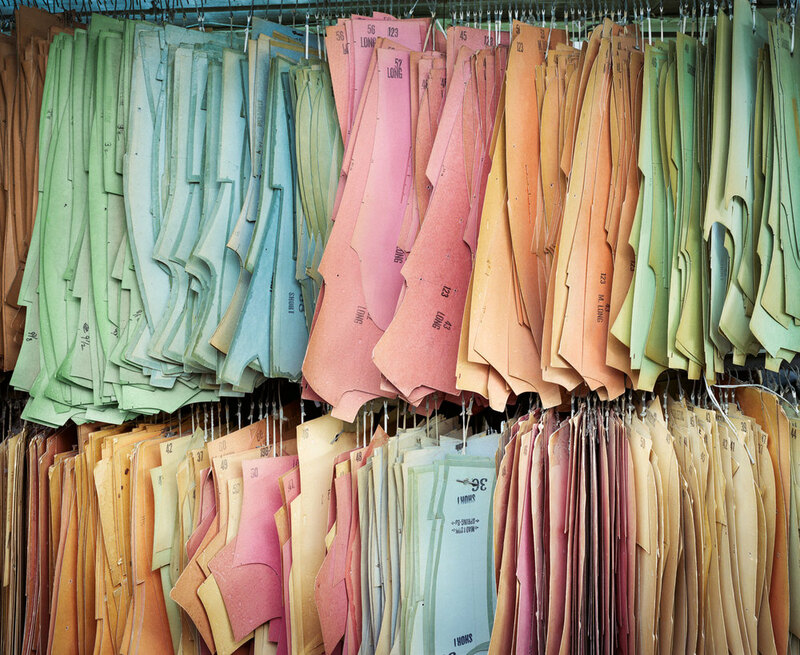 "In this post industrial age, we’ve become too dependent on imports and have no idea where goods come from, or how things are made—right down to the shirt on our back. 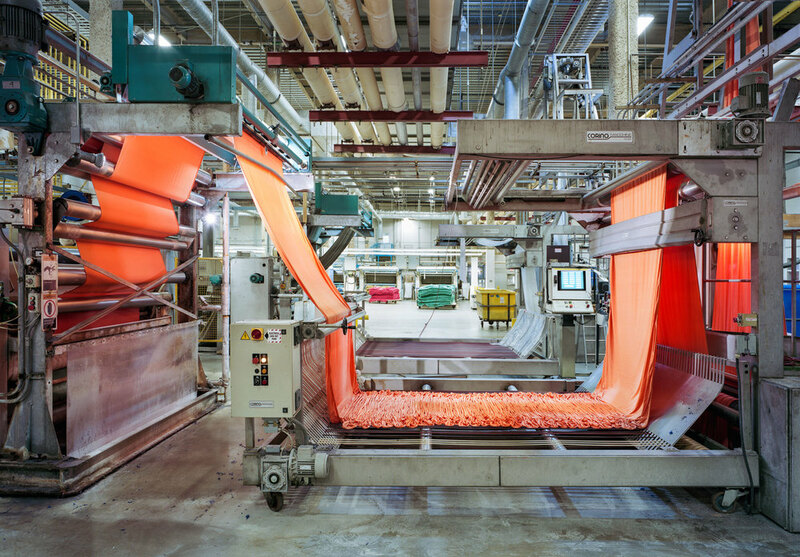 If there is a basic message I’m trying to get across in my pictures, this is it: manufacturing still matters in the U.S."
Growing up, my mother was a textile artist. She and her colleagues painstakingly hand painted the gorgeous patterns, motifs, and imagery that adorned curtains, bedding, clothing, and fabrics of all kinds and purposes. I grew up around stacks of fabric samples of every color and texture, playing underfoot while my mother applied layer after layer of artistic detail, slowly transforming a solid canvas into a work of art. But much how the rise of overseas production put factory workers (all of whom are artisans of their trade) out of a job, my mother's line of work was eventually outsourced to graphic artists who could produce a seemingly similar result in a fraction of the time and cost. But faster and cheaper doesn't always mean better. There are consequences to each and every purchasing decision we make, and those choices speak volumes about our values. Do we believe in better or more? Do we support artistry and craft or the best bottom line? Do we want to keep hardworking Americans gainfully employed, or is it more important that we score a good bargain? Supporting American-made doesn't have to be an all-or-nothing venture, but it's important that we make wise choices as often as possible. U.S. manufacturing has helped our country thrive before, and with thoughtful consumption, it can and will continue to do so. As Payne illustrates with his stunning photographs, there is beauty in these old buildings, and their importance reaches far beyond the physical goods they produce. 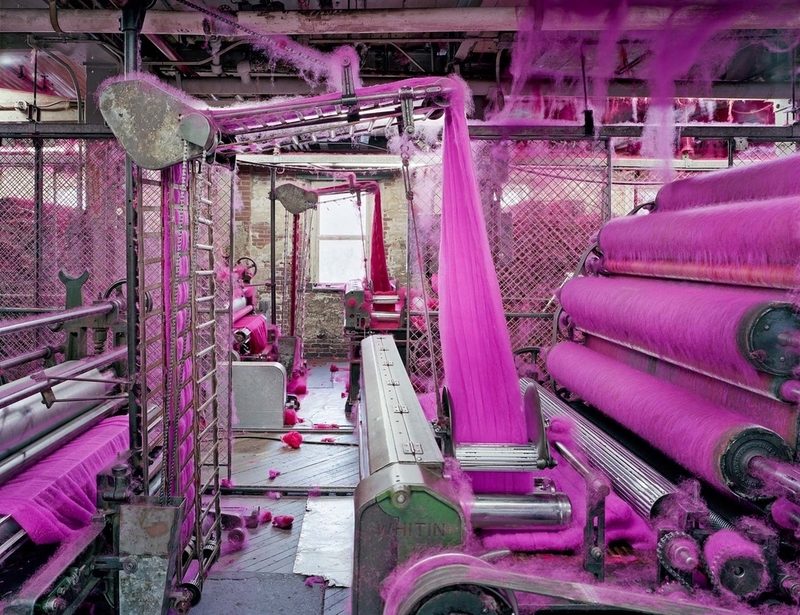 For more photos of the textile manufacturing world, check out Christopher Payne's entire Textile series. All images via Christopher Payne.